If you’re an expectant parent and want to give your bub a head start in the smarts department, this clever audio device really delivers. 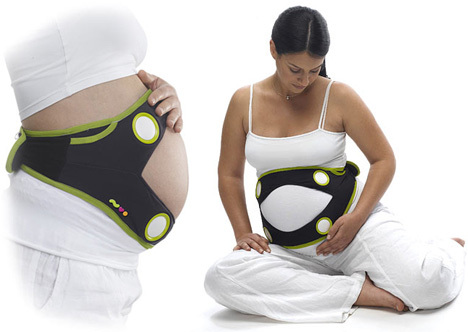 Called the RITMO Prenatal Musical System, it is a supportive, wrap-around music player for your baby bump that can play anything from language courses to audio books to music (In Utero, perhaps?) – all at optimal fetal volume levels for safe listening and maximum learning. Designed to take advantage of your baby’s reactive listening stage that begins at around 16 weeks, the RITMO Prenatal Musical System simply plugs into your MP3 player to provide optimally-balanced 4-speaker sound for your baby – regardless of their positioning in the womb. Made from a lightweight, elasticized fabric that provides support for your bump on-the-go, the fashionable and adjustable RITMO can be worn under, or over clothing and its specially woven Spandex material can be easily washed as you please. Featuring side pockets for your MP3 player and the included remote, the RITMO Prenatal Music Player provides high-quality audio with minimal sound leakage, will run for 5 continuous hours on a full charge and is available now from ThinkGeek for $99.99.